All materials will be provided and refreshments will be served. 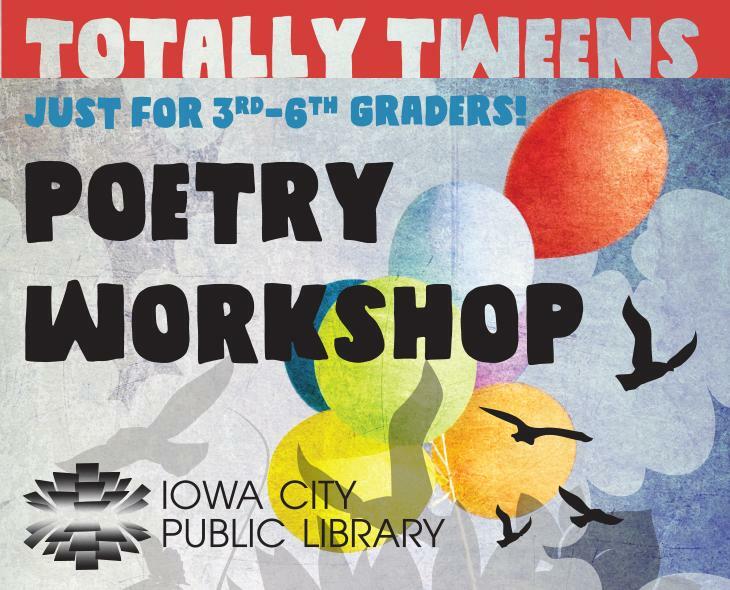 A poetry slam will take place the last 15 minutes of the workshop; parents and guardians may attend. Just for kids in 3rd-6th grade.